Preshaded zircon oxide was selected for efficient implementation of this restoration. 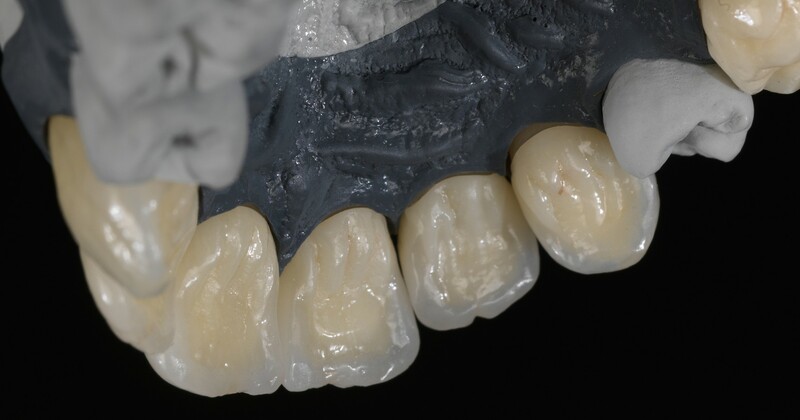 Ceramill Zolid Preshades offer – depending on requirement – economic and aesthetic indication options. Tooth 15 was only customised using stains. In the anterior region greater attention was paid to a natural shade and shape reproduction and it was therefore veneered with porcelain.